Related has been working for the Icelandic low-cost airline WOW air since 2015, handling their PR and media relations in Sweden. 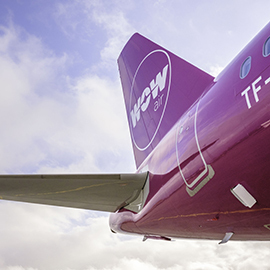 When WOW air announced their new route from Stockholm to Washington and Boston via Reykjavik in May 2016, Related was in charge of spreading the news to Swedish media, which resulted in more than 100 articles reaching more than 3 million Swedes. To complement the press release, Related also secured several interviews with the CEO of WOW air, Skúli Mogensen, and journalists from some of Sweden’s biggest media, including Svenska Dagbladet as well as the news agency TT (equivalent to AP/Reuters).